Africa's music sweetheart Yemi Alade delivered what was tagged the "performance of the night" at the 2015 Vodafone Ghana Music Awards which took place at the Accra International Conference Centre (AICC) in Ghana on Saturday, April 11, 2015. The Effyzzie Music singer who was nominated in the "African Artiste Of Year" alongside AKA, Diamond Platnumz,Tiwa Savage, Mavins and Patoranking; rocked the award ceremony which a killer performance of her smash singles "Taking Over Me" and "Johnny". 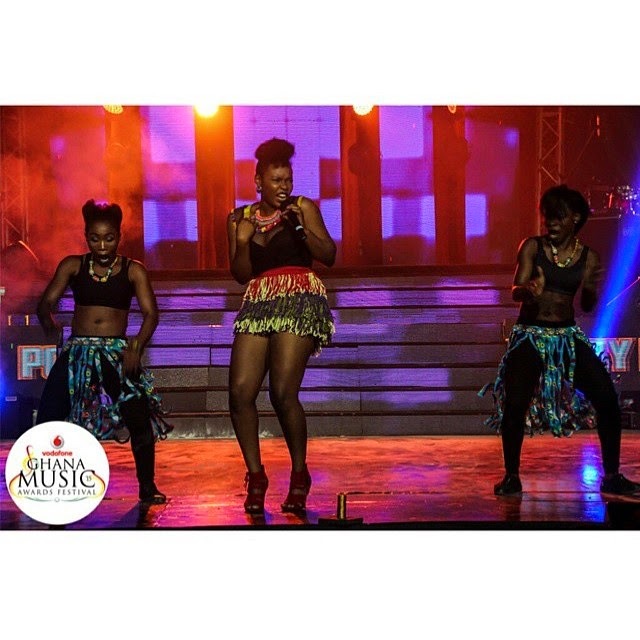 Watch Yemi Alade electrify the 2015 VGMAs!